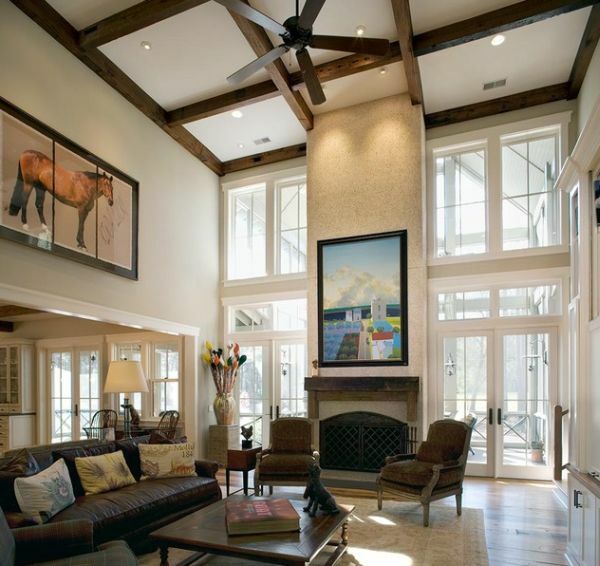 High ceilings in a room make the whole space seem larger. They’re most common in the case of living rooms. A spacious living room that has high ceilings is going to seem even larger and it will have a dramatic look regardless of the type of interior design and décor. 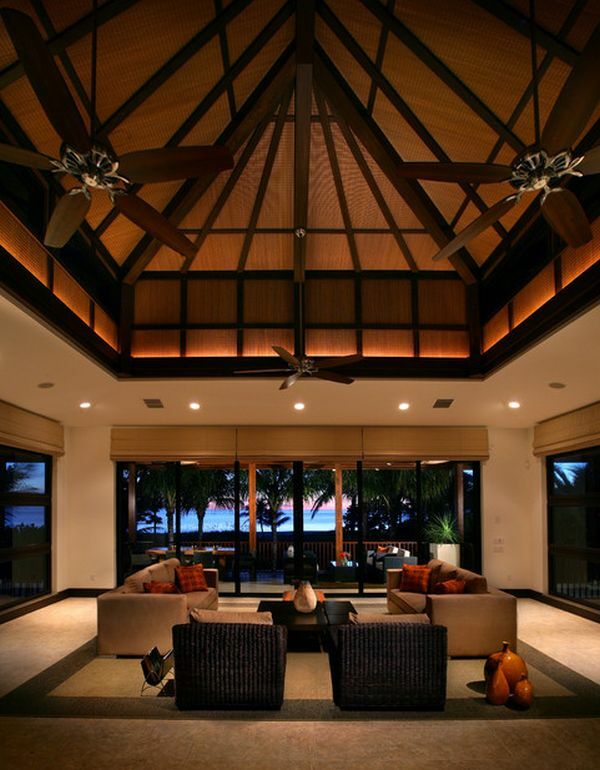 But depending on the shape of the ceiling the atmosphere can also differ. 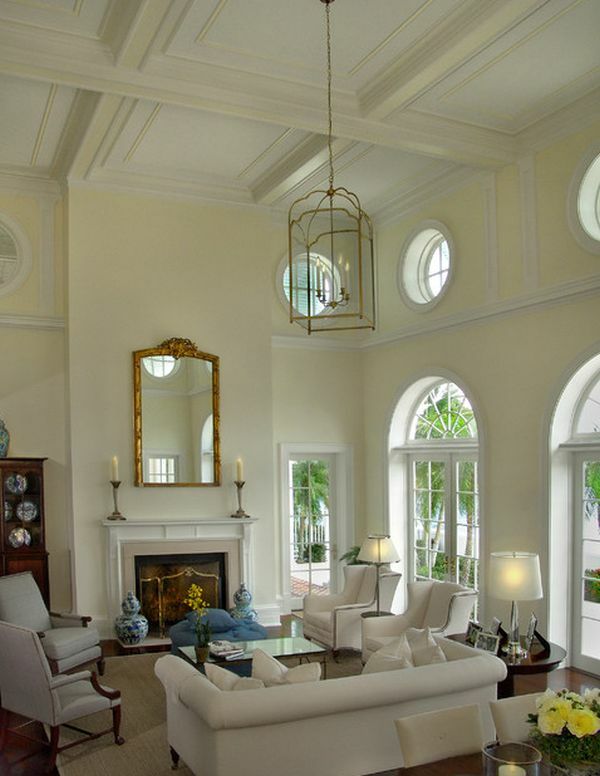 A pitched high ceiling is not as dramatic as an arched or flat ceiling. But it has a unique characteristic. 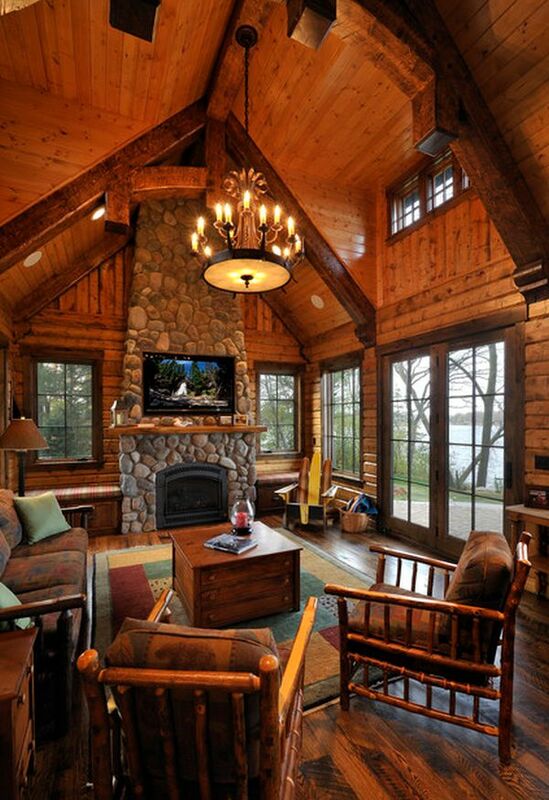 It makes the room feel cozy, more intimate and it makes the atmosphere inviting and pleasant. 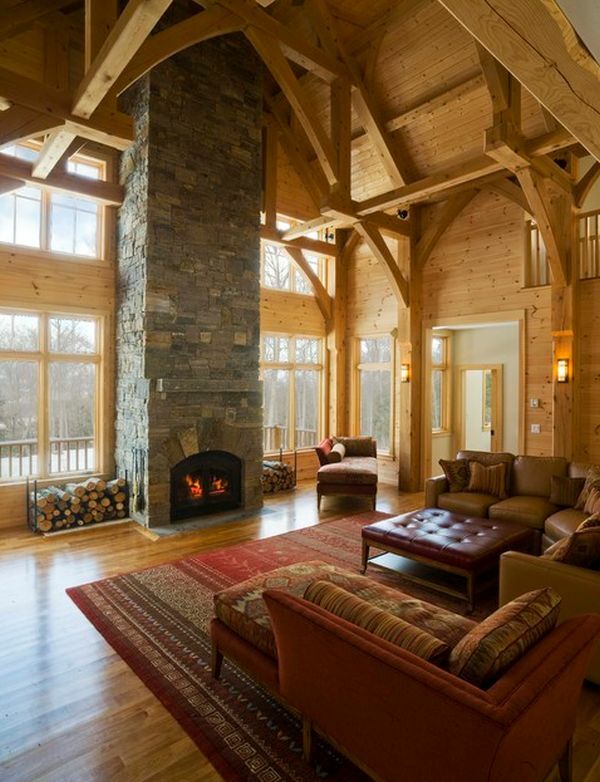 In such cases a wood-paneled ceiling or one with exposed wooden beams would enhance the warmth and coziness of the décor. 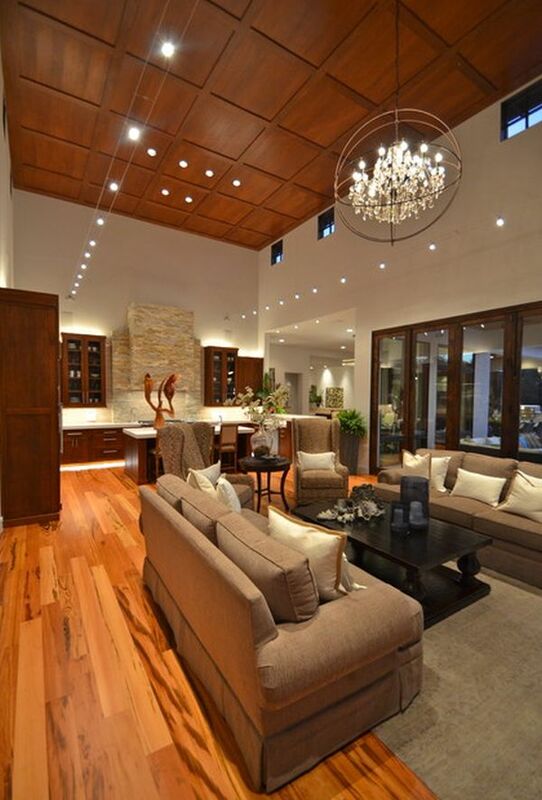 But whatever the shape and type of the ceiling is, it’s also challenging to decorate such a living room. 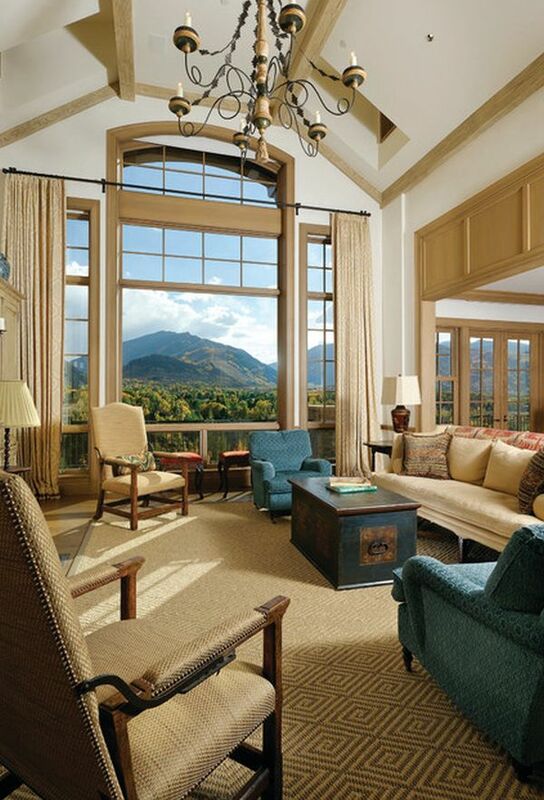 In the case of living rooms with high ceilings the windows usually go all the way up and this makes the interior much brighter than usual. As for the décor, a nice way of emphasizing the beauty of the ceilings is to use low hanging chandeliers or pendant lights. An interesting way of decorating the walls is to hang artwork on the higher portions or to use a projector. 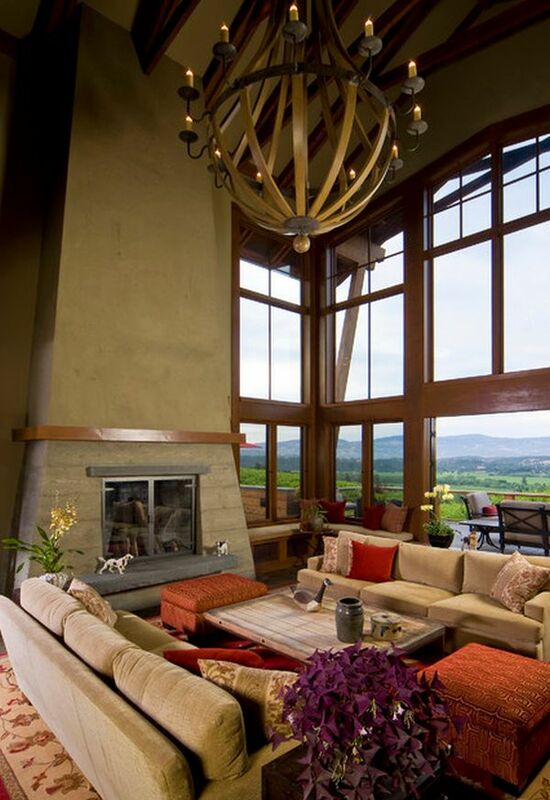 A very important detail is to create a coherent interior décor and think n perspective. 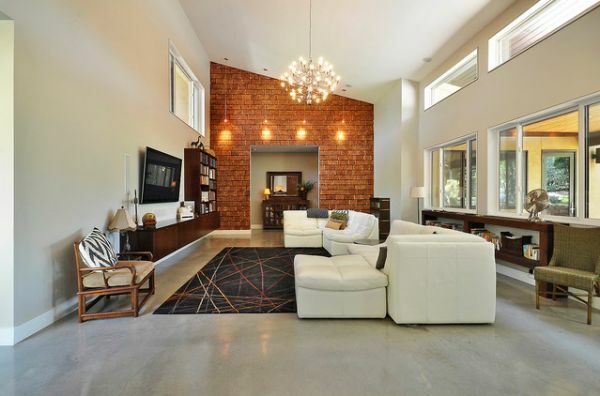 We have selected a few beautiful examples of living rooms with high ceilings and we hope the photos capture their true beauty.